The war on scale is an ongoing one for an interior designer. While appropriate scale affects the overall visual appeal of a design...what is considered appropriate scale can change depending on design trends. Right now, the design trend is large scale. For a while it was mainly art that we saw in a larger scale, but it seems that 2018 is the year of everything going big in the design world. Large scale lighting is has been close behind oversized art in the design world so this one isn't a super new concept but we love that it's officially official. We consider lighting to be art in itself so a giant piece of art hanging from your ceiling is pretty sweet. Lighting also balances the room just like an area rug grounds the room, so a large, beautiful light hanging in the center of the space can really tie everything together and make it feel complete. Oversized patterns and wallpaper prints is so fun for us. Not only are people ok with and even excited about wallpaper, they're getting bold with their selections and going for big, graphic patterns. The interesting thing about wallpaper and large patterns is that they look best in small spaces...like powder bathrooms and bedrooms. Regardless, a large scale pattern is actually less busy because there are fewer lines that draw the eye. So large scale wallpaper patterns are really a win-win for everyone. While mirrors have been a big thing in decorating for a while because of their ability to open up a room, large mirrors are really a little bit newer concept for interiors. It wasn't that mirrors were small before, it's that they were scaled and balanced with the item below them. 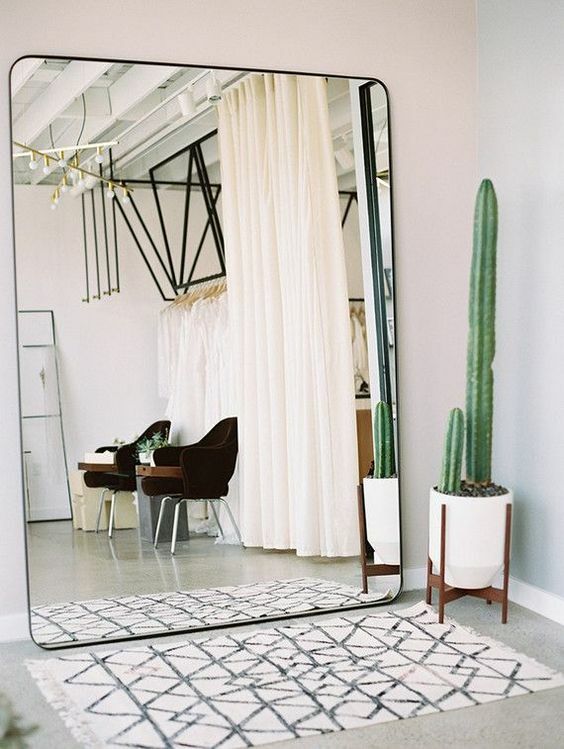 The cool thing about large mirrors becoming popular is that they are just larger reflections for the space and open up a room even more. 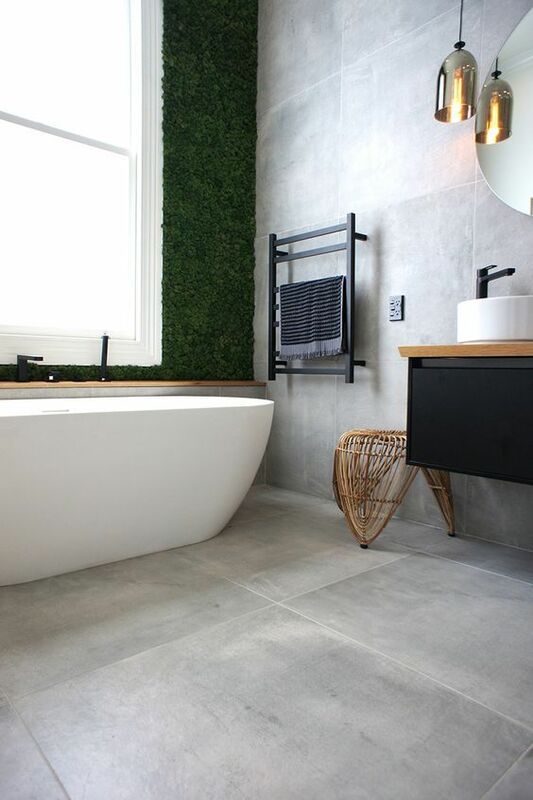 In the same vein, even though large mirrors are becoming popular, the trend in mirror frames is to become thinner and less distracting so it's really all about the mirror itself. Expansive islands are also becoming more and more prevalent. 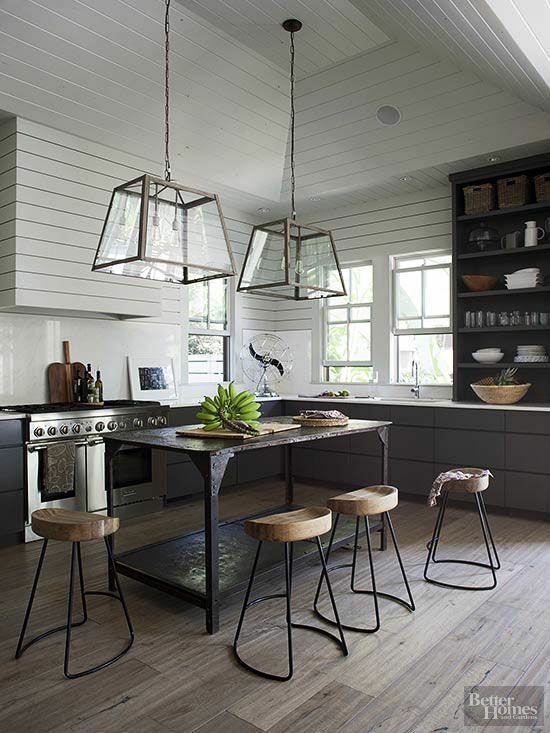 The open-feel of a kitchen with a large island is highly sought after because kitchens are used as a gathering space. And instead of eating at a large, formal dining room table, homeowners are hosting meals at a large island, keeping things more casual. Finally, manufacturers are finding new ways to make floor tiles and wood planks bigger and bigger. Massive flooring is growing in options because people don't want to see seams. Large pieces of tile make for less grout lines and longer planks of wood make for less lines so it's cleaner and more fluid looking. This trend is still developing as manufacturers create newer, larger product but the demand continues to grow.